Obituary for Albert E. Hibbler, Jr | Stone Funeral Home, Inc.
Albert E. Hibbler Jr., 73 of Petoskey passed away on July 25, 2018 at his home in Petoskey. Albert was born on September 10, 1944 in Petoskey, MI the son of Albert E. Hibbler and Dorothy (Mier) Hibbler. He grew up in Petoskey and attended school in Petoskey. On December 27, 1988 he married Carolina Girardin at their home in Pellston. 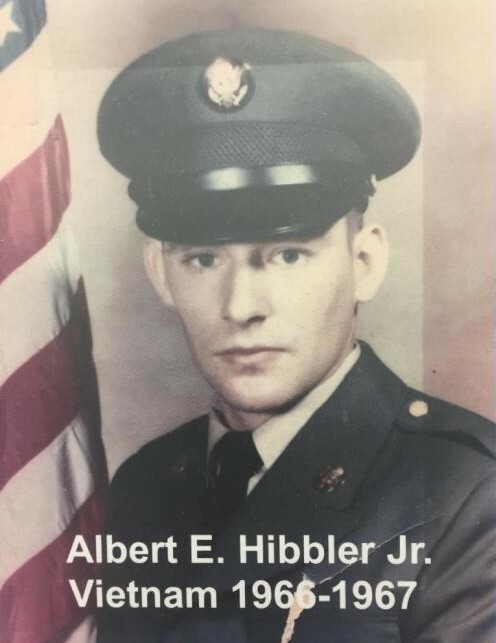 Albert proudly served his country for three years in the Vietnam War. He earned multiple medals while enlisted in the Army including a Vietnam Service Medal with two bronze service stars, National Defense Service Medal, Republic of Vietnam Campaign Medal, a Good Conduct Medal, and a Marksman Medal, to which he was most proud of. Albert enjoyed farming, fishing, and watching old Western films. He was a true outdoorsman as well as a family man. Albert was a wonderful father, husband, grandfather, and brother with an easy going, loving heart. He was proudly involved with the Flywheeler's Club as well. Albert is survived by his wife Carolina Hibbler, children Martha, Paul Huffaker, Albert Hibbler III, Crystal (Christopher) Williams, Joseph Hibbler, Joshua (Lauren Green) Hibbler, and Alicia (Joe) Johnson, 22 grandchildren, 4 great grandchildren, siblings Beverly (Martin) Wiesler, Harry "Vernie" (Lucia) Hibbler, Jerry (Claudia) Hibbler, Ronnie (Jeanette) Hibbler, Darcy (Phyllis) Hibbler, Ruth Ann Gardner, Dora Hathaway, and Karen Hibbler, as well as many nieces and nephews. He was preceded in death by his parents and siblings Alberta (William) Leonard and Leona Hibbler. The family will receive friends at the Springvale Township Hall on August 10th beginning at 2pm with a memorial service beginning at 3pm. Anyone wishing to make a memorial contribution in memory of Albert should consider the Vietnam Traveling Memorial Wall or the Brave Hearts Estate in Pellston. The family was served by the Stone Funeral Home.